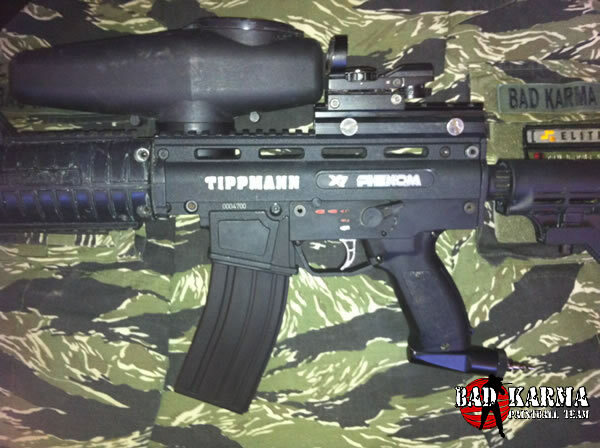 Every scenario player wants to mod their paintball marker, and Tippmann has helped make that happen. 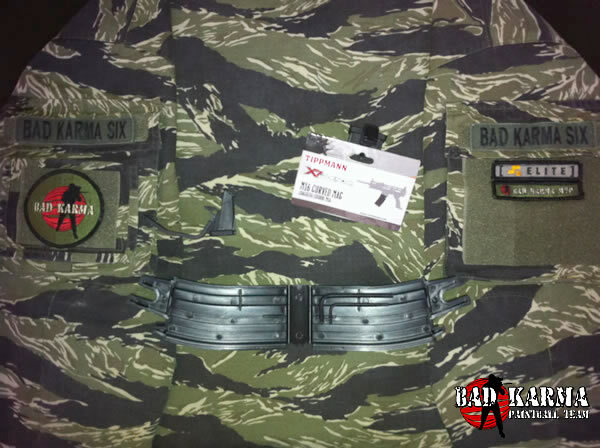 But with the new X7 Phenom, some players lamented the smaller magazine well that made UMP and MP5 looks possible, but left out larger X7 magazines to complete the M-16 and AK-47 looks. 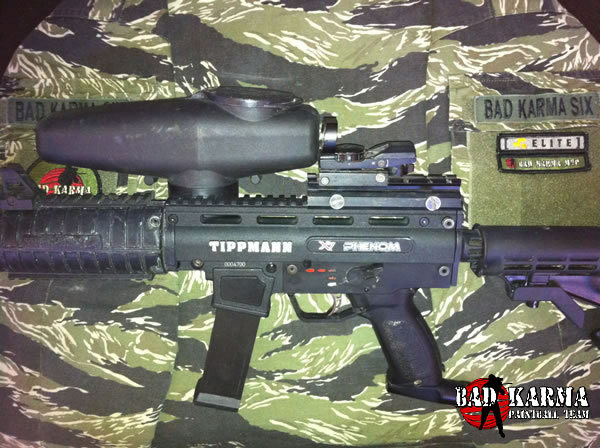 We're happy to report that Bad Karma has been sent some mods that open up the possibilities for X7 Phenom owners. 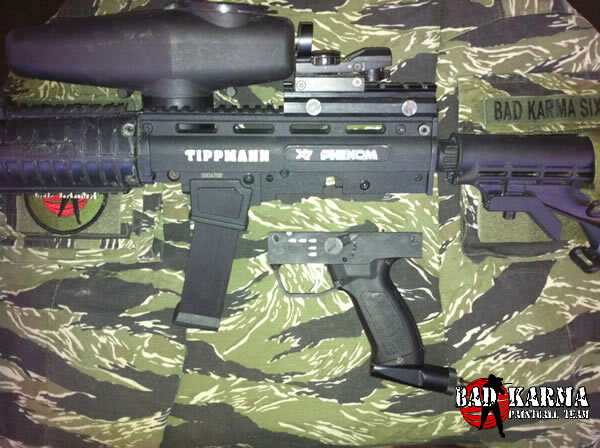 These new magazine options from Tippmann are both elegant and simple in their design, and trump other designs on the market. They are not bulky, but stay true to the aesthetics and sensibilities of the X7 Phenom in every way. 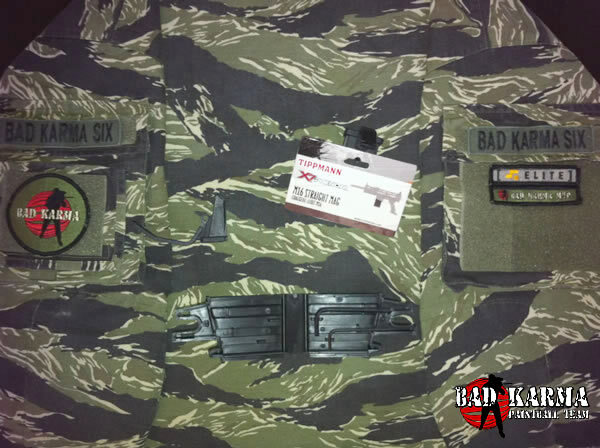 The three designs we were sent include the M16 Short, M16 Curved, and AK47 Curved magazine mods. 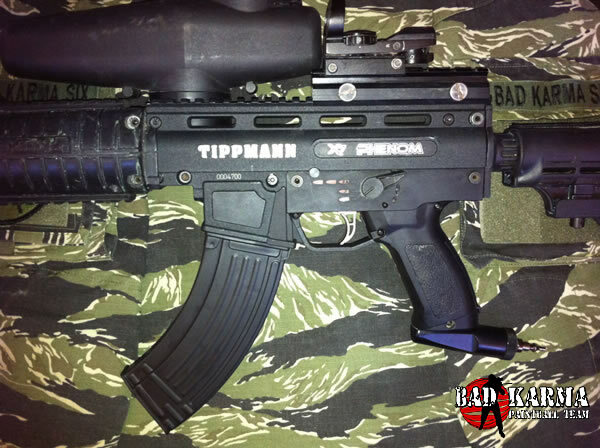 All have a new trigger guard adapter, which along with the normal magazine well, secures the mods to the X7 Phenom. Take a closer look at the mods below. 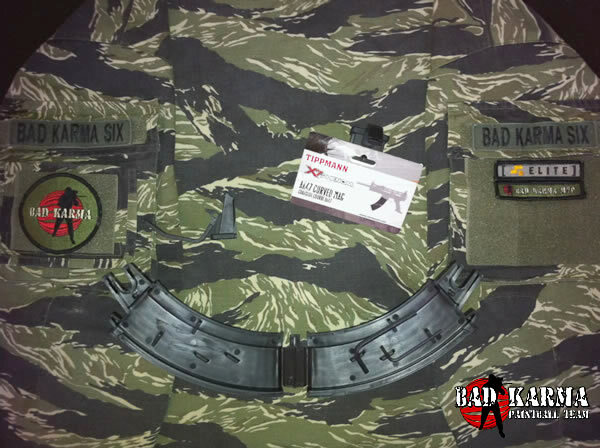 Much more accurate to the M16 30 round curved magazine in look and feel than the X7 version. It opens to allow for a tool storage and is made from hi-impact composite for durability. 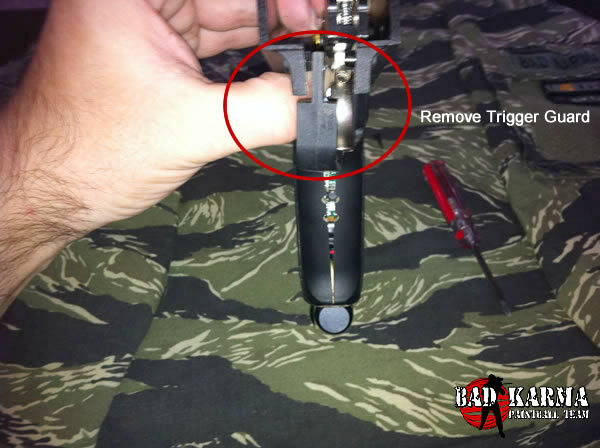 Much more accurate to the M16 20 round straight magazine in look and feel than the X7 version. It opens to allow for a tool storage and is made from hi-impact composite for durability. 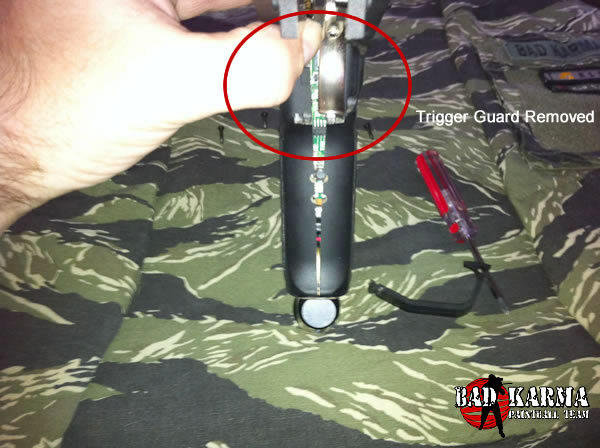 Much more accurate to the AK47 30 round curved magazine in look and feel than the X7 version. It opens to allow for a tool storage and is made from hi-impact composite for durability. 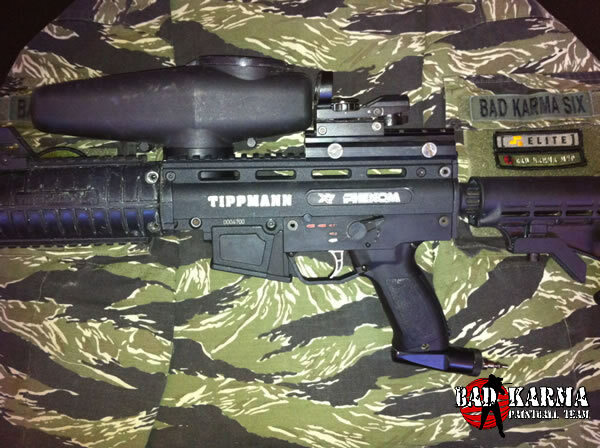 Probably the best implementation Tippmann could have come up with. Made from hi-impact composite for durability. 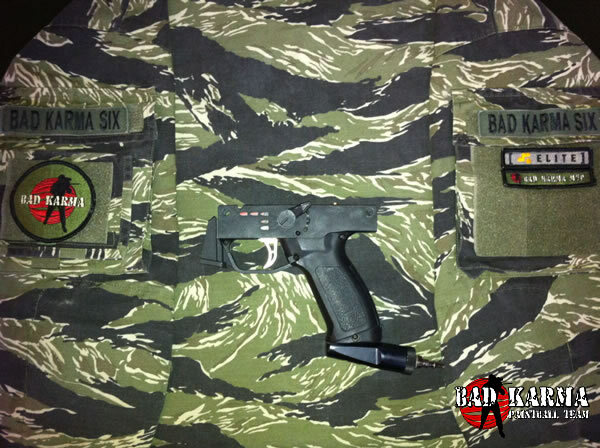 Magazines are better looking then the original X7 magazines. Fits perfectly with included adapter. 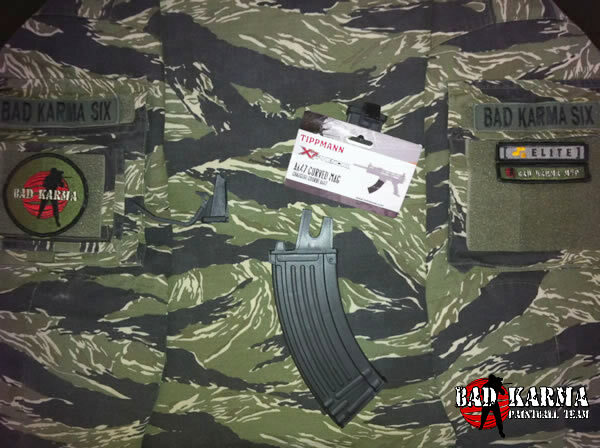 Each of the new magazines (M16 Curved Mag, M16 Straight Mag and AK47 Curved Mag) use the same new trigger guard adapter. 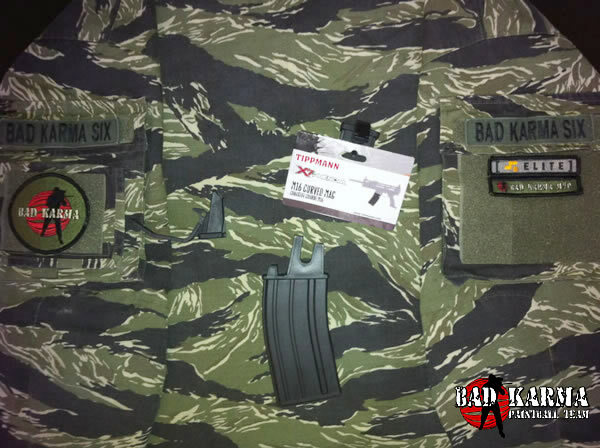 Each of the new magazines (M16 Curved Mag, M16 Straight Mag and AK47 Curved Mag) have built in tool storage. 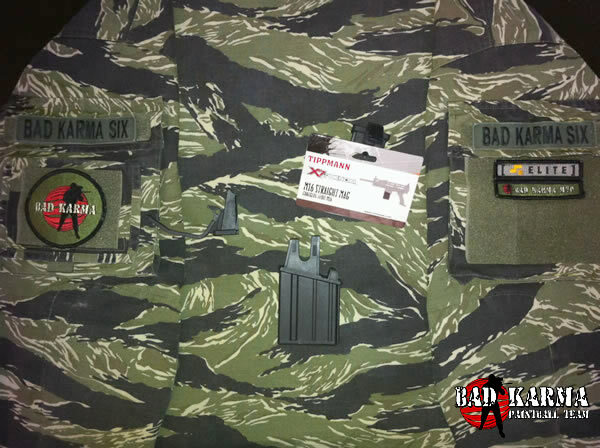 Each magazine comes with the trigger guard adapter. 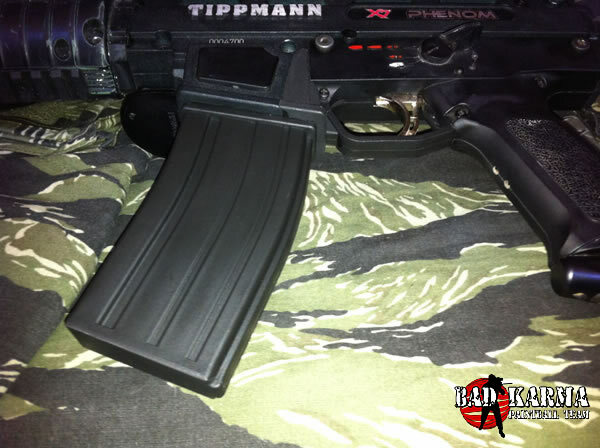 Not compatible with previous X7 magazines. 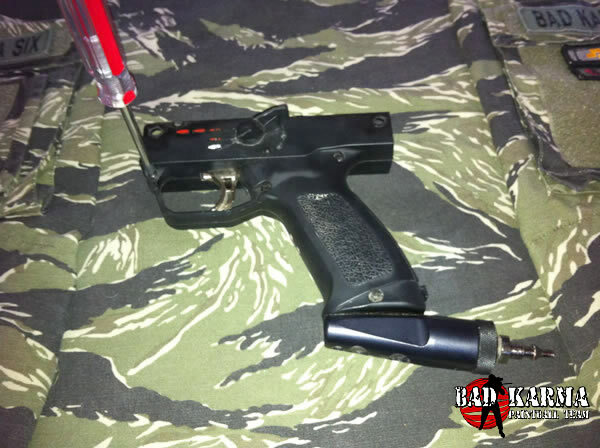 Requires a separate trigger guard than all other magazine mods. They are finally here! 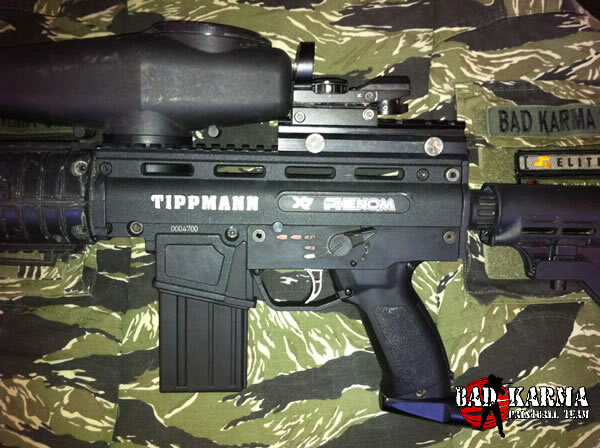 We have been waiting for months and now we can mod our Tippmann X7 Phenoms the way we want. Highly Recommended and the best option available. 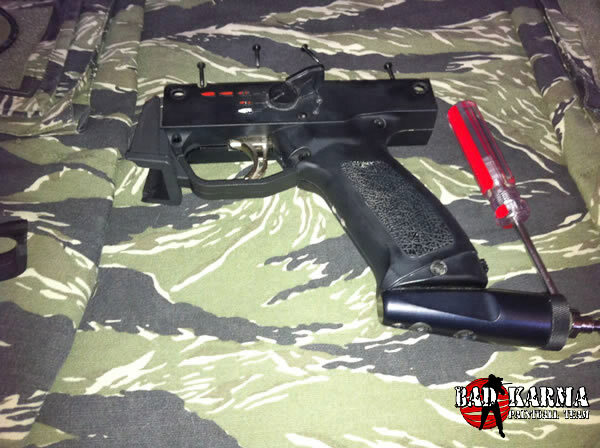 A superior design to the aftermarket versions that have been released so far. 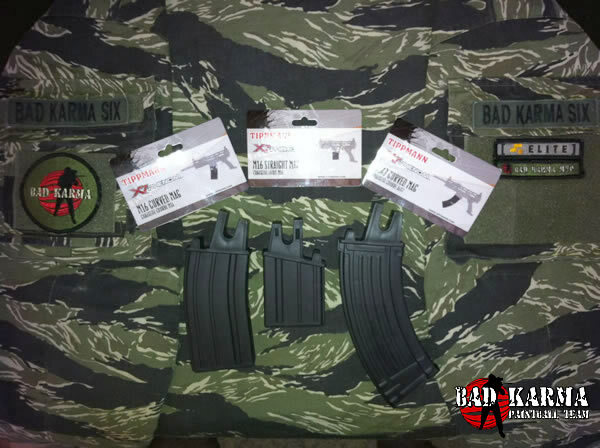 The trigger guard is very easy to install and fits all three (M16 Curved Mag, M16 Straight Mag and AK47 Curved Mag) magazines.